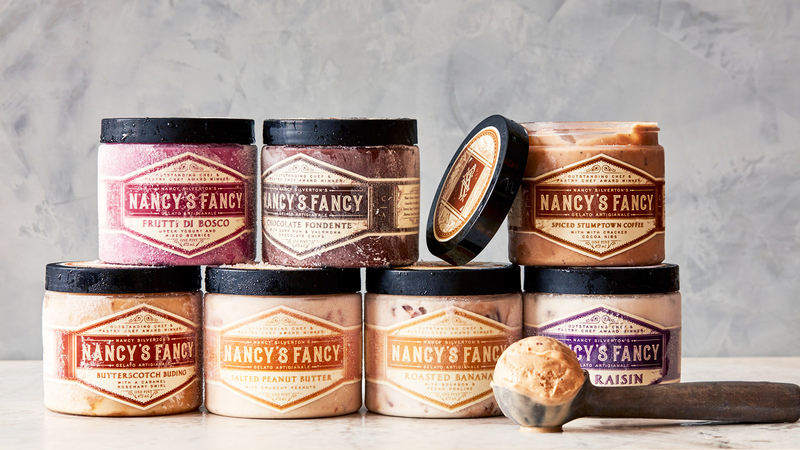 Nancy's Fancy is moving their production kitchen to Los Angeles, and a retail shop may be on the way, too. Nancy Silverton is best known for her comfort food: pizza and pasta made with love, legendary bread, even a mozzarella bar. Now she’s venturing into the world of dessert, Italian-style of course. Silverton, a two-time James Beard Award-winning chef, will be opening a retail shop and production kitchen for Nancy's Fancy Gelato and Sorbetto Artigianale in the Arts District of Downtown Los Angeles at a venue that previously housed Mast Brothers chocolate. The gelato brand's production kitchen is moving to the area this summer; its original location was in the San Fernando Valley. Manufacturing and packaging the food will take place in-house, which Silverton says is an important part of her vision for the shop. “Having the gelato kitchen nearby will make oversight easier, which is important to me,” she said in a statement. “I think keeping everything local and in my hometown is essential to producing the highest quality product." Silverton has actually owned the brand name Nancy’s Fancy since 2015. You can find some of her products in grocery stores like Whole Foods and Dean and Deluca if you’re not in the Los Angeles area. But if you do happen to live (or are visiting) Los Angeles, you might soon be able to stop by the new venue for a taste of Silverton's gelato in person – and you can expect some new flavor inventions from her kitchen. "Having a new, much larger facility designed specifically for the product will give us the opportunity to do some things I've been wanting to do, such as expand the flavor line and possibly add toppings and sauces,” Silverton continued. “The thriving neighborhood also makes our new location ideal for a scoop shop." There’s no word yet on when that much needed gelato parlor might open, but might we suggest Silverton conider surprising us all with it this summer? What's the Difference Between Ice Cream and Gelato?